The Amalfitain Coast or Costiera Amalfitana is a stunning coastline set along the rugged mountains and winds down the western coast of Italy from Sorrento to Salerno in the region of Campania. This is one of the most requested tours. Especially for shore excursions. It lasts 8/9 hours stopping in Sorrento, Positano and Amalfi. Our speaking English driver, Eddy, will drive along the coast trhough many miles of hairpin turns offering spectacular vistas with changing views of landscapes. Rocks plunging vertically in to the clear sea, charming fishing villages, with brightly colored boats set in the small harbors, vibrant vegetation and colorful flowering plants, houses and hotels nestled high in the rocks above the winding coastline all contrasting dramatically with the brilliant blues of the Mediterranean waters. First stop is in Sorrento to have an orientation tour of the village. Poets and writers have described Sorrento as the land of colors and mermaids. Sorrento is indeed a very pretty city where kindness and hospitality are a combination that is handed down from one generation to the next. Sorrento historical centre is the ideal place for buying local souvenirs: Typical hand-crafted marquetry, hand-stitched tablecloths, coloured handmade sandals, distilleries and local gastronomic products. The inlaid wooden marquetry realized by the Sorrentine artisans, they patiently and skill fully decorate wooden objects with delicate inlays creating a variety of patterns and colours. Their workshops are lined with piles of small boxes pressed into clamps,then Â put out in open air for the Â glue to dry in the sun. This gives character and colour to the streets making pleasant to walk all around the old town. As we make our way to Amalfi, we will stop in Positano from above and glimpse its buildings clinging to the rocks.Â Positano is a vertical village. Houses are organized as a coloured cascade along the hills. They are built on the rocks and look towards the blue sea, the narrow streets and the clean and nice beaches. We reach Amalfi for a visit, whose origins date back to both the Roman and Byzantine Empires. It once rivaled Genoa and Pisa in its maritime importance, still retains its fishing traditions today and is also known as the home of handmade paper. The first view of Amalfi is unforgettable, with its tightly packed villas and palaces seeming to tumble down the cliff side into the fishing port and beach below. In the main square of Amalfi we find the majestic Cathedral dedicated to St. Andrew. According to the time we can reach Ravello . Ravello isÂ a very quiet and chic village known all over the world for its wonderful panorama that once enchanted Richard Wagner and the great Greta Garbo. The day tour will be full of unforgettable emotions from the beginning to the end. You will meet local people and will listening to their stories of common life and will taste local food: lemons, limoncello, fresh fish and sweet cakes. Don’t wait. Come and join us! Enjoy Naples our way . It’s true what the guide books say. Naples has not the romance of Venice or the style of Rome. But what it has got is bags of character. secure web login . It’s gritty, it’s noisy, but that’s where the appeal lies. This is an authentic slice of southern Italian life, complete with washing strung out between buildings and honking old cars weaving through the streets. Naples may be noisy, overcrowded, and a bit intimidating, but it is also intriguing and appealing. Proud birthplace of Pizza which is midway between refined cuisine and traditional working-class meal, Neapolitan pizza became one of the main dishes and a symbol of Neapolitan cuisine since the 18th Century. The city’s history remains a fundamental component of present society and it is revealed in many archaeological ruins, monuments and buildings. Come with us to discover the city towards to the famous shopping street of Via Toledo where we will see the typical streets of the “Spanish Quarter”: the alleys, the heart of the True Naples, among narrow streets and hanging clothes. We will have a sweet little break to try the real Neapolitan coffee with the famous “sfogliatella “, in one of the oldest bakery of Naples. We continue towards to the old town where we will meet our guide. She will tell us about old stories and legends of love and unfortunate “little skull” venerated by Neapolitan people and linked to the Neapolitan tradition. We will pass among the old shops of craftsmen: the luthiers, the artisans making cribs, the booksellers, the potters, The Hospital of dolls. 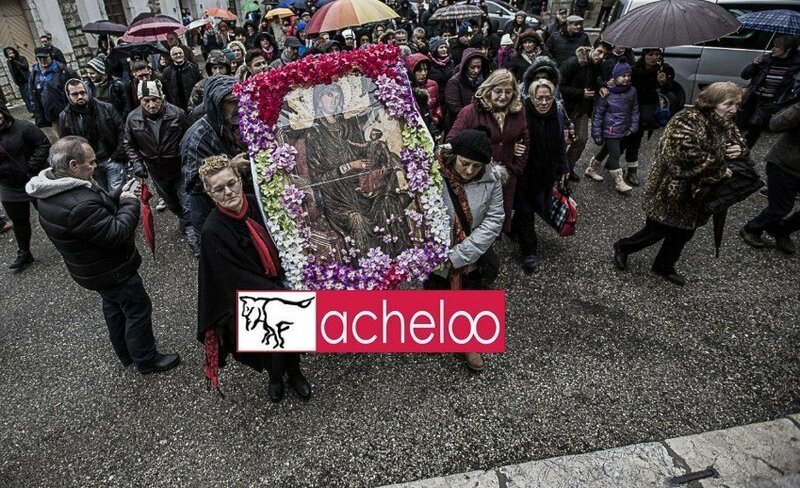 We will see the most beautiful places and monuments of the historic center, passing through the famous “Spaccanapoli” and the particular Via San Gregorio Armeno famous for Christmas shopping. It will be a unique opportunity to learn about the odd habits of the people of Naples! Come to visit us! 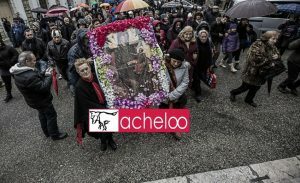 Acheloo is a Boutique Land Operator and a concierge company, located in the South of Italy, 30 km far from Naples, that provides customized Corporate and Leisure services in Italy and first of all in Campania, our Region. We are a group of experts (geologists, guides, masterchef, archeologists and historians) working in the field of tourism for 20 years. We put our knowledges together and decided to promote New Routes not touched by mass tourism.,Â bringing people to the heart of the cities showing real life, telling old stories and traditions, discovering past memories, tasting food and wine. The focus of all our attention is the customer. We like to take care of all details: from the choice of your dish to accommodation and guided tour, guaranteeing a vacation that will be perfect and memorable. To achieve these results, Acheloo Tours offers only the best. Scrupulously we select the accommodation options, choosing interesting itineraries accompanied by expert and knowledgeable English speaking guides. One of the secret of our success is our excellent relationship with suppliers working allÂ together only for passion and customer satisfaction.